There was a time I would have never thought to roast broccoli. Back in the day, boiling food was the only process I knew how to do, and even that wasn’t skillful. I blame that on my Irish mother. 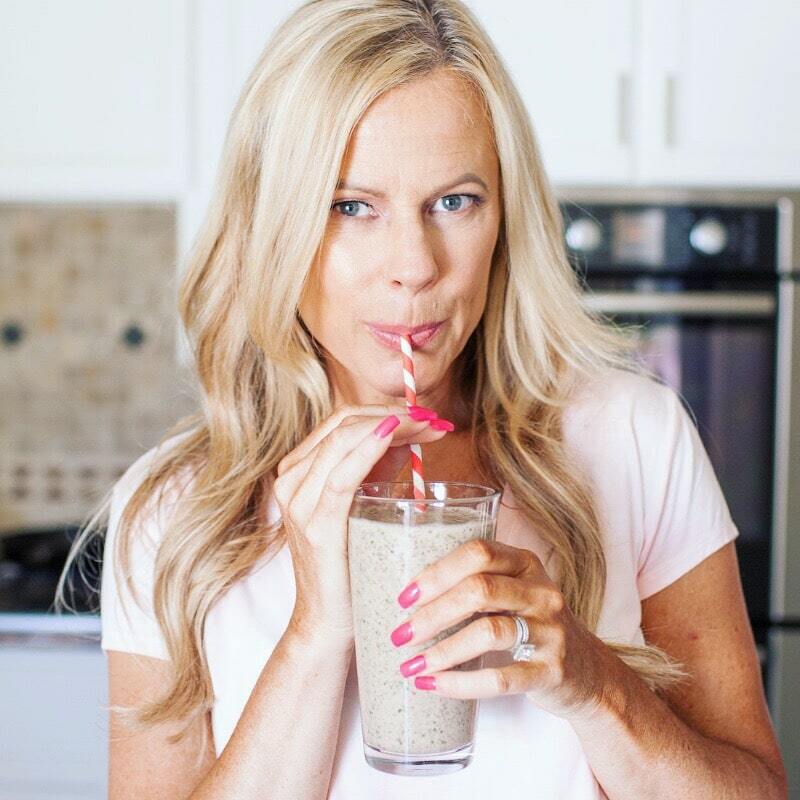 She grew up in a podunk town in the north of Ireland where the locals existed on a diet of potatoes, sausages and fish and chips. If food wasn’t deep-fried, it was boiled and certainly never good. One day I’ll figure out a way to health-ify traditional fish and chips. Until then, broccoli it is. Let’s think differently about broccoli for a minute. You probably think of it as the limp green plant sitting on the side of your plate beside a plain chicken breast (blah). 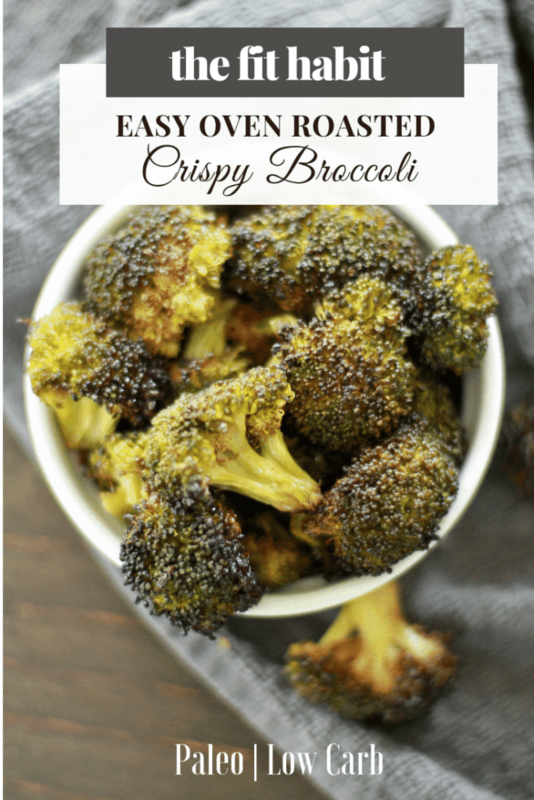 But consider for a second, how awesome crispy broccoli can be! Broccoli that’s not limp and soggy. Think of it like a chip or a cracker that should be used with the same freedom to dump into a bowl of steaming soup or popped into your mouth like popcorn. With crispy broccoli, anything’s possible. I make big batches of broccoli and add it to soups and salads for lunch. In the morning, I’ve been known to fry up a few eggs and lay them over a reheated bed of crispy broccoli and let me tell you, that tastes SO freaking good! 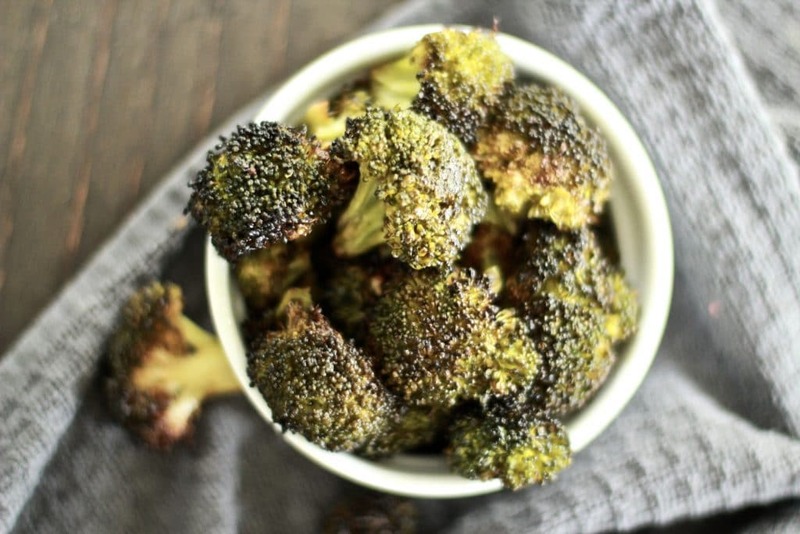 Want to Make Broccoli Taste Ridiculously Good? Use Maldon salt. Typically I’m not typically big on fancy ingredients, but I went to a restaurant once where they served this flaked salt and it made everything I ate that night taste 4000% better. It’s SO good and not super expensive. I think it makes a fun gift idea for foodies as well. Anyway, that’s my PSA on broccoli the wonder veggie. I hope I’ve expanded your mind a bit today! Pro-tip – if like me, you want to spend as little time in the kitchen as possible, do yourself a favor and buy your broccoli prewashed and cut. It makes prep time, no time at all. So simple, but so delicious! 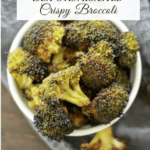 The spritz of lime juice really accentuates the flavor of the broccoli and the olive oil crisps it up. Wash and break up the broccoli florets into bite-sized pieces. Add to a large bowl and add olive oil, lime juice and salt + pepper. Mix well and lay out on a lined cookie sheet. Cook at 400 for about 15 minutes. At the 15 minute point, check to see how far along they are. If you keep them in longer, make sure you keep an eye on them so they don't burn. Every oven is different, so it could take 15 to 25 minutes depending on your oven and how much you pre-heated it!